One of my favorite guys. I love this picture, I think he's keeping an eye out for me. More likely, he's waiting for a morsal to fall... Now I just need to learn how to remove 'green' eye. 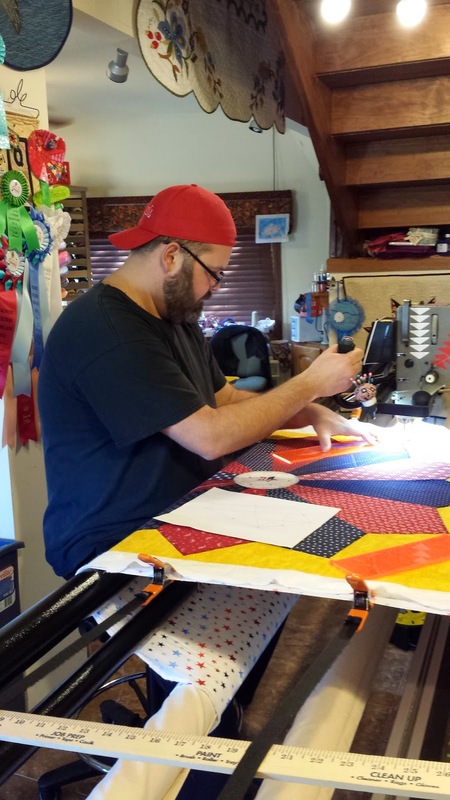 A couple of weeks ago, my friend Kevin (The Quilter) came over to use BeBe to quilt an Honors Quilt for an Honor Flight Veteran. After talking to him and my friend Dar (Dar's Patchwork Garden) I was inspired to also make a quilt for them. 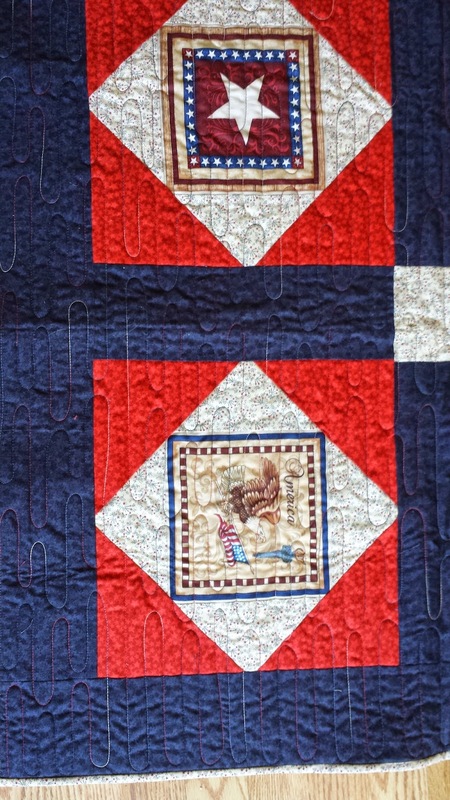 I had a partial panel left from the quilt I made for Quilts of Valor. It was perfect for this project! 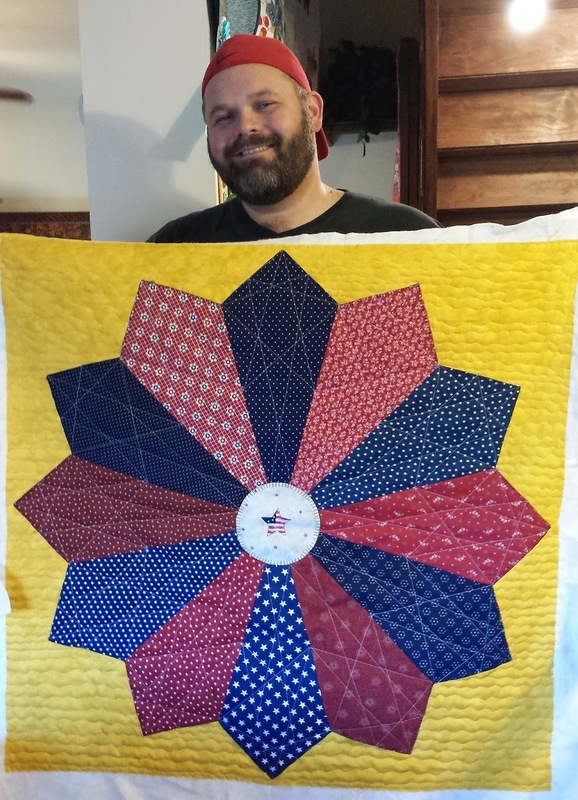 First a peek at Kevin quilting.... and the Honors Quilt he made. Great job Kevin! The Honors Quilt I made (scroll down for directions) finished at 36"x36". 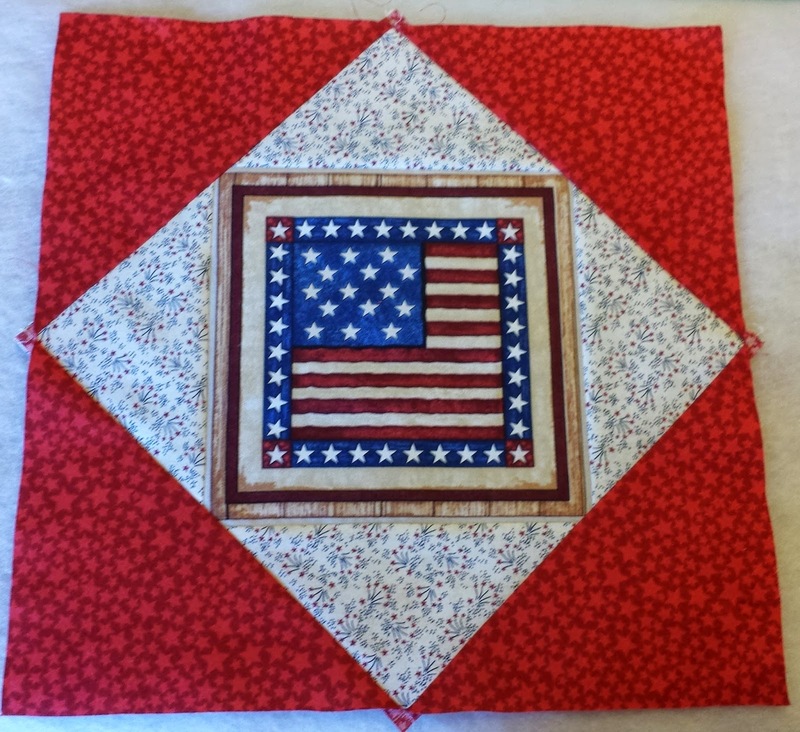 This quilt uses a method I learned from a friend of mine, Cindy, years ago. And yes, it cuts the points off, BUT because it is consistant thru the entire quilt, THAT'S OK! Also, you will be working with bias edges. I've been a quilter for over 45 years and I never knew until I joined a quilt guild 9 years ago that I was suppose to be afraid of bias. So I'm not and neither are you! 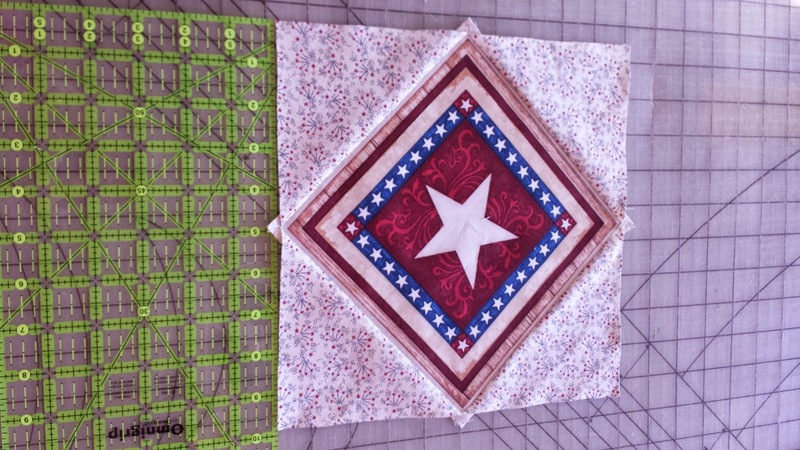 I used 4 of the leftover squares from the panel used in my Quilts of Valor project. Since the squares measure 7.5"x7.5", I cut 4 squares (7.5"x7.5") from my white fabric. Place a white square right side to right side with a panel square. Stitch 1/4" on EVERY side. Draw a line on the white fabric on both diagonals. 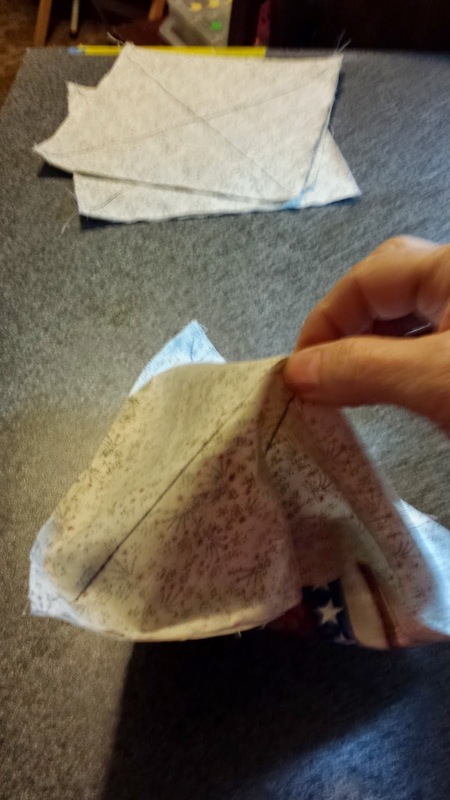 Grab only the white fabric in the middle, separating it from the panel fabric. Carefully clip open on a drawn line. 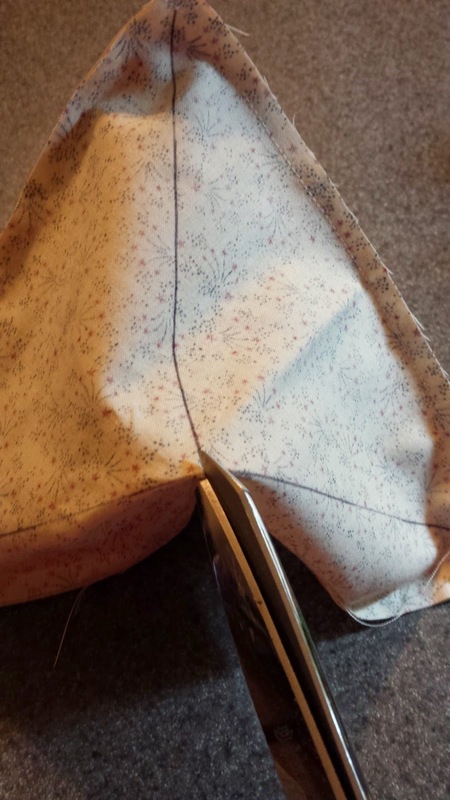 Cut thru the white fabric on each line into the corner, but DO NOT CUT PAST THE STITCHING. Press the white fabric open, being careful not to stretch the bias edges. Measure the width of the block. Cut 4 squares from the red fabric this size. 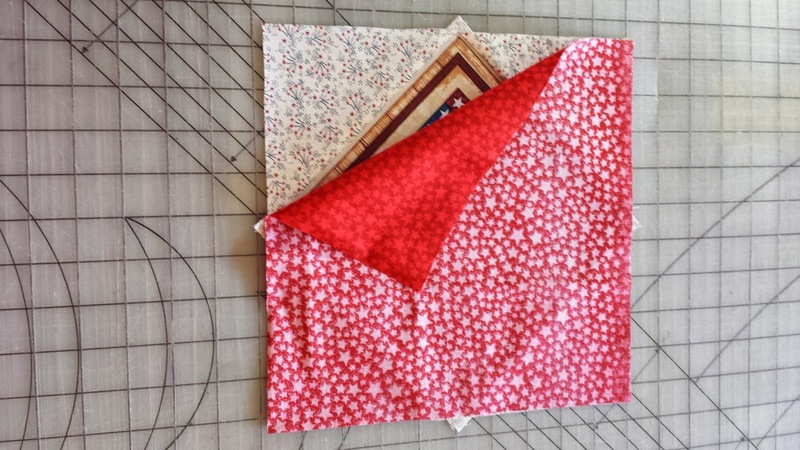 Place the red fabric right side to right side with the block. Stitch 1/4" on EVERY side. Draw a line on the red fabric on both diagonals. 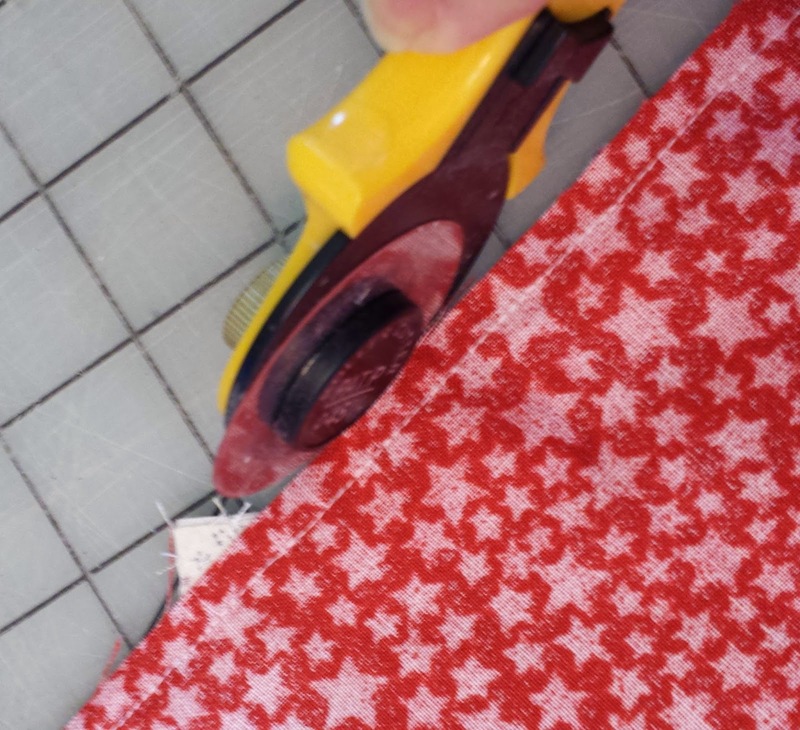 Grab only the red fabric in the middle, separating it from the panel fabric. Carefully clip open on a drawn line. 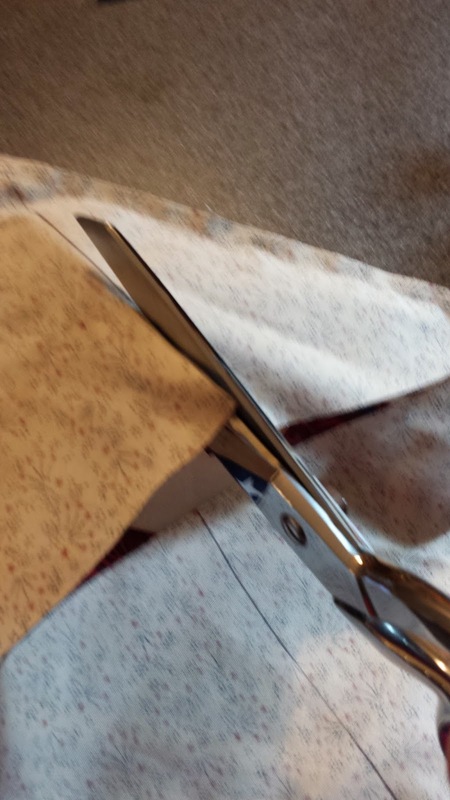 Cut thru the red fabric on each line into the corner, but DO NOT CUT PAST THE STITCHING. I also like to trim off the extra dog ears. Open the red fabric and press. Careful of the bias. I cut my sashing and border at 4.5" wide, with a center cornerstone at 4.5"x4.5". Because you are working with bias, I find it helpful to pin before I sew. 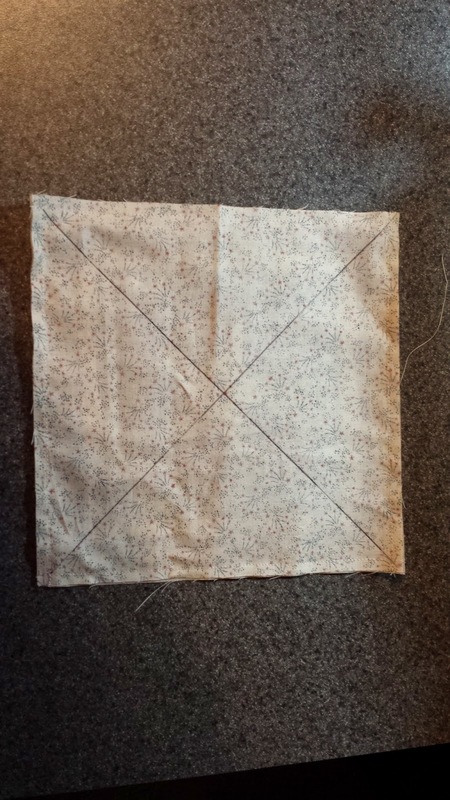 It is also easier to stitch with the block on the bottom and the sashing/border on top. This will help prevent the bias edges from stretching. I finished my quilt with free flowing water quilting, bound with the white, and it's ready to go. I hope a Veteran on the Honor Flight will like it. A small showing of appreciation for all they sacrificed for our freedom. Thank you Kevin and Dar for inspiring me to make this. Way to go Ann! The quilt looks great and I love the technique! Makes me not have to worry about points! Anything that makes life easier! Who needs points anyway? 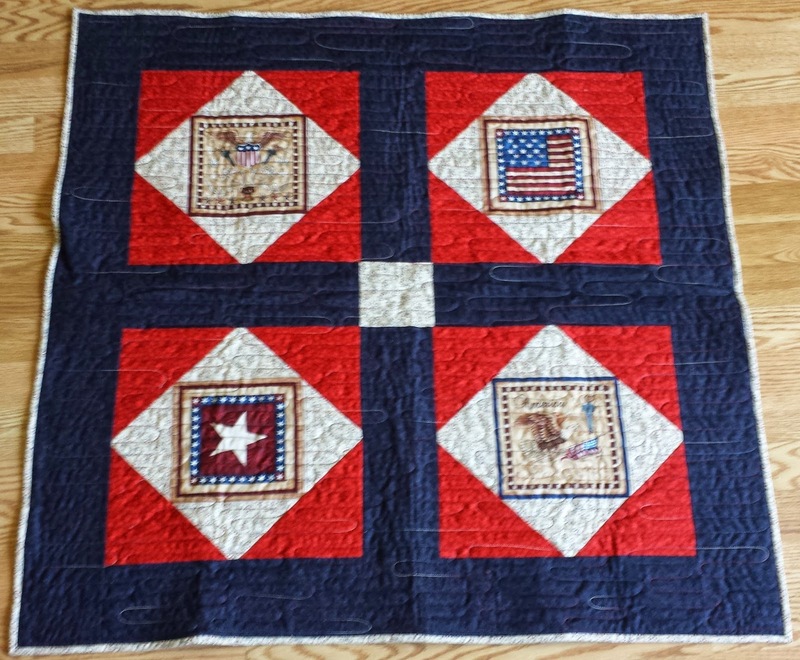 Ann, your Honor Flight quilt turned out great. That is a slick technique to make a square in a square in a square block. I may have to try it on some of my kids charity blocks that are on my "to do" list. It would be a lot faster than the traditional way, that's for sure. Thanks for the idea. Ann, thanks for your comment on my blog. You are a google+ so there isn't an email link with your comment. Your quilting on Radar is spectacular. I hope your next collaboration with Kevin is just as spectacular.